Michael D. Taylor, 74, was called to be with the Lord on January 29, 2019, while in Aruba. Mike had a full life. He was a dedicated family man that loved being around family and enjoyed attending his grandkids’ activities. Mike was always willing to help anyone with anything and he never met a stranger. His love for farming was very apparent. He took pride in the way his fields were always weed-free and his road ditches were always mowed. He had a passion for bowling, golfing, Husker sports and traveling. He enjoyed traveling the world with his family and exploring new adventures. He was an active member of Fremont First United Methodist Church for 60 years and served on many committees. 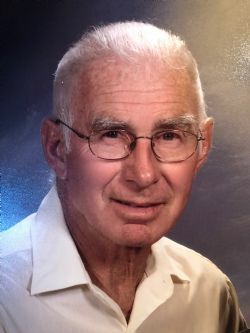 He served on District #65 school board, was a 4-H leader, and a member of the Fremont FOE. He is survived by his wife, Sharon; son, Todd (Linda) Taylor of Nickerson; daughter, Taron Taylor of Fremont; grandchildren, Matt Taylor, Nicholas Taylor, Nathan Taylor, Kaleb Jorgensen, and Kialynne Jorgensen; brothers, Gordon (Gail) Taylor of Fremont, Wayne (Shirin) Taylor of Omaha; brother-in-law, Don (Judy) McKinney of Louisville; sister-in-law, Judy (Jerry) Nielsen of Fremont; other family, friends, and his beloved dog Buddy. Mike was preceded in death by his parents, grandparents, and parents-in-law. The funeral will be 9:30am, Saturday at the First United Methodist Church in Fremont. Burial will follow in Memorial Cemetery. Visitation will be Friday at the Ludvigsen Mortuary Chapel in Fremont from 3pm to 8pm with the family present from 4pm to 7pm. Memorials to the family for future designation.